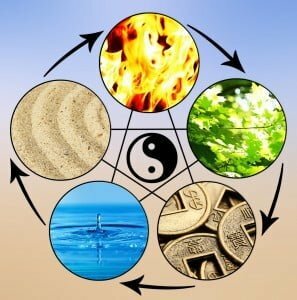 Classical Chinese Medicine is based on the Five Phase, or Five Element system, that recognizes five cyclical steps in the transformation of Yin into Yang and Yang back into Yin. Yin and Yang are primordial forces that form the basis of all creation. Yin is roughly equivalent to our western concept of matter while Yang is energy, so the Five Phase system depicts the ceaseless transformation of matter into energy and energy back into matter. It is inspiring to see that this same transformational process, which the ancient Chinese sages recognized, is today expressed in Einstein’s famous equation E =Mc2 (Energy = Matter times the speed of light squared), which basically asserts that energy and matter are simply different forms, or stages, of the same thing. The transformation of matter into energy and back to matter again is reflected in the cycle of conception, birth, life and death; in the processes of the body; and, in the changing seasons. In Chinese Medicine there are five seasons that represent five steps in this process, including spring, summer, late summer, autumn and winter. Each season is associated with a specific element, bodily organ system and emotion as well as a specific aspect of “Spirit.” These correspondences are illustrated in the infographic below. Understanding the stages in the cycle and the correspondences for each stage can help you live in balance with changing energies and demands in order to minimize seasonal challenges to your physical and emotional well-being. 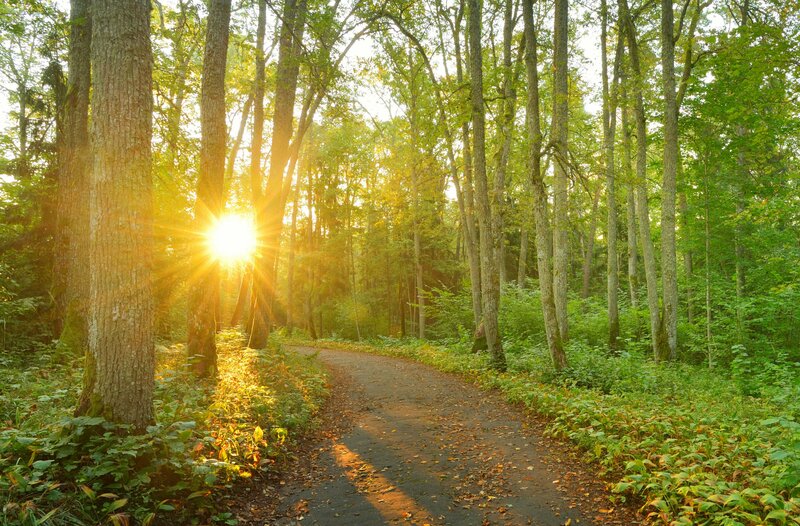 At the present time, we are in the season known in Chinese Medicine as “late summer,” which lasts from late August until the Autumnal Equinox. Late summer represents a pause in the cycle of transformation, a still point in which the energies of Yin and Yang are in momentary balance before the hot, Yang energy of summer pivots to the cooling Yin energy of autumn and winter. The frenetic energy of summer has passed, growth has ceased for the season and as the harvest is completed, a sense of quietude descends on the land. Earth is the element of late summer and this element has to do with nurturance, digestion, and building the substance of the body. The organ system of the season is the Spleen/Stomach while the emotion is often said to be worry. The aspect of Spirit that may be challenged is that aspect that supports, guides and energizes the intellect. In late summer, you may be more vulnerable to anxiety, digestive issues, or poor mental processing and if you encourage imbalances by eating or acting improperly those imbalances may be expressed as worrying and/or digestive issues. In fact, the hallmark of Earth imbalance is ruminating, worrying about having enough, feeling overwhelmed, and having difficulty taking in and integrating new information. Just as each season is associated with specific types of physical and emotional issues, it is also associated with specific herbs and essential oils which may help to maintain balance or address imbalances when they occur. You may have noticed that many of these essential oils have been reported to aid digestion, which is said to be one of the main issues of late summer imbalances. In addition, essential oils like Frankincense, Vetiver and Lemon are believed by aromatherapists to help with worry or decreased mental clarity. It is wise in late summer to live in harmony with natural energies and take the opportunity to slow down and relax a bit, especially since you may naturally feel your energy begin to wane. Be sure to get a good balance of sleep and exercise now and don’t overdo things. As the weather cools, many people will benefit from cutting out the iced beverages that were so welcome in summer and adding some warming teas. By living in harmony with the natural cycling of Yin and Yang energies, you reduce stresses on your well-being and promote health and happiness. Stay tuned for the next installment in this series in which we’ll look at autumn and its correspondences and essential oils. Please enjoy and feel free to share this infographic about essential oils for late summer. I like this article & infographic; do you have one for Spring?